As long as there have been airplanes, there have been pilots wanting to do fly-by’s, barrel rolls, and all sorts of extreme maneuvers that excite the senses! Probably the most iconic of these are the ones made famous by Maverick in “Top Gun.” What pilot with the right stuff wouldn’t want to have his moment in the sun, ripping down the runway at just 50 feet and 500 knots? Sometimes, fortunate airmen get the opportunity to live out their inner Maverick from the cockpit of a transport jet. Sometimes, it is done with tons of prior practice and planning, and sometimes not so much. Recently, Cargolux and its now-famous pilots took delivery of a brand new B747-8F in Seattle. The new airplane scent must have been so intoxicating that it led the pilot flying into a wing wagging of epic proportions. The wing wag has its place in aviation as a way to say hello or goodbye, but in my opinion these pilots were lucky that they didn’t scrape the wingtip as they made their pleasant farewells. The shocking thing to me is the extremely low height that the pilot flying began this maneuver. At maybe barely five feet above the runway, you can clearly see the spoilers raising on the left wing indicating significant control wheel movement. In the cockpit this very aggressive control wheel movement and at such a low altitude is something I wouldn’t be happy about as the pilot monitoring, especially if unannounced. While I couldn’t possibly tell if this was pre-rehearsed in a simulator, my guess is that it was not. While I don’t believe the Cargolux incident was inherently dangerous, it did seem a little excessive at such an early moment after rotation. There are some occasions that do warrant flight maneuvers outside the normal realm of flight. 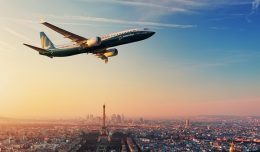 One of the best displays of this are the routines put on by Boeing and Airbus at the Paris and Farnborough Air Shows. 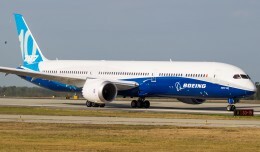 This past year, the Boeing 787 test pilots put on a dazzling display at Farnborough showcasing the limits of the aircraft. However, they practiced their show multiple times in a simulator before attempting it in the real airplane. 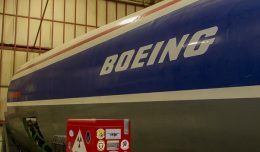 They obviously have changed procedures at Boeing over the years, considering that one of the most famous stunts of all time was performed by famed Boeing 707 test pilot Tex Johnston. 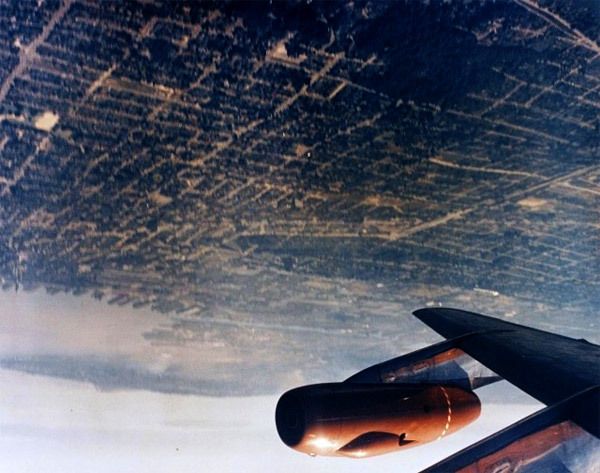 He famously barrel rolled a 707 during a demonstration flight outside Seattle in 1955. In his estimation, it was a harmless “1-G” maneuver and although challenged on it, he thankfully kept his job. He was amazingly caught on camera and this was more than 50 years before YouTube! Sometimes, airline pilots are given permission to do some non-routine flying, and yet they still go beyond what is probably safe. 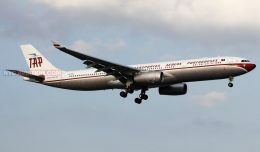 In a popular video, a TAP Portugal A310 can be seen flying during an airshow. In all likelihood, those pilots did train and have permission, but banking immediately on rotation and doing a flyby at less than half a wing length at high speed may not be the smartest. One thing I’ve learned flying large aircraft is that it can be very deceiving how far the wingtips actually are aft of the cockpit. This makes it difficult to judge their height above the ground if performing a maneuver like this. Most airline procedures dictate no turns below 400 feet AGL and partly for this reason. An early, aggressive turn could scrape a wingtip. So, the lesson is just because you can do something in a jet doesn’t mean you should. And finally, you have pilots performing immature and unsafe stunts while completely putting civilians at risk on the ground as the pilots of this Falcon jet did on approach into St. Maarten. In this very short clip, the pilots of this business jet can be seen practically skimming the water from approximately 500 feet offshore in an attempt to give the crowd of beach-goers a good show. They skim over the heads of the swimmers at just a few feet, needing to add power to avoid settling into the water. This is unsafe and dangerous not only to the occupants of the aircraft but all of those around the airport enjoying the beach. There is no place for reckless flying and this was a great example of that. This type of flying could potentially result in a certificate action such as suspension, or even revocation. Careless and reckless flying is highly frowned upon by the FAA. Having flown jets at Mach .85, I know firsthand that things can seem pretty docile and even slow when you are at 35,000 with nothing to give you perspective. I would love to get the opportunity to fly that fast lowdown, and so would most of my coworkers. Unfortunately, it probably won’t happen, but I completely understand the temptation to do so. The allure of “hotdogging” or “showboating” has been there since Orville and Wilbur were at Kitty Hawk, but mature professional pilots need to ensure that they stay responsible and not put themselves, their aircraft, or people on the ground at risk. Good training and preparation are usually the two ingredients that keep everyone safe and at the same time provide some unique aerial demonstrations low to the ground in an appropriate manner. When the temptation to awaken an inner Maverick arises, pilots and organizations should embrace what the pilots most similar to Maverick do: practice the routine over and over. The Blue Angels are famous for practicing their routine over one hundred times before flying an actual show. Nobody flies as low, or as fast, while looking as good doing it. All pilots should consider that the best pilots in the world train longer and with more precision than anyone else before attempting their own stunts. Pilots can learn a lot from them; they should especially take a moment of caution to really think it through, before channeling their inner Maverick. 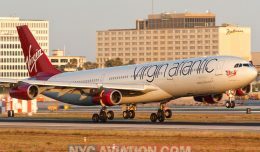 NYCAviation columnist Justin Schlechter is an airline pilot and lives with his family on Long Island, New York.